The first step of central nervous system formation in vertebrates is called neural induction. This process allows naive cells to adopt a neural fate following the reception of signals emitted by the dorsal organizer. Using two distant chordate models, the cephalochordate amphioxus and the amphibian Xenopus, our teams reveal the conserved role of the Nodal/Activin signaling pathway in neural induction. Neural induction has been deeply studied in vertebrates since the 90’s but no unifying picture of the molecular mechanisms underlying this process has emerged. Indeed, studies undertaken in classical vertebrate models (Xenopus, chick, mouse and zebrafish) brought controversial conclusions concerning the role of BMP (Bone Morphogenetic Protein) and FGF (Fibroblast Growth Factor) signals and on the validity of the so-called “default model” stating that ectodermal cells are by default (in absence of BMP and of any other signal) committed to a neural fate. Interestingly, in tunicates, the sister group of vertebrates, it was shown that the FGF signaling pathway is involved in neural induction (Bertrand, Hudson et al. 2003), reinforcing at that time the idea that it could also be implicated in vertebrates, a role confirmed two years later (Delaune, Lemaire et al. 2005) by the team of Laurent Kodjabachian, our future collaborators. To get a better view of how the neural induction process evolved in the chordate lineage, we decided to study this mechanism in the third clade of chordates, the cephalochordate (i.e. amphioxus), which is the sister group of olfactores (tunicates + vertebrates). (A) Ripe animals living in the sand are collected with a Charcot-Picard dredge. (B) Animals are kept in the facility at 18°C, and then temperature is changed to 23°C the day before spawning. (C) (D) The afternoon of the spawning day the animals are separated in plastic cups. About 45 min after the light is turned off (i.e. the sunset), the animals start to naturally release their gametes. From Hector Escriva and Stéphanie Bertrand. Arrow : segmented gonads. Arrowhead : neural tube. Double arrowhead : segmented muscles. Scale bar: 0,5 cm. From Hector Escriva and Stéphanie Bertrand. Arrow : pharyngeal gill slits. Arrowhead : oral cirri. Double arrowhead : notochord. Scale bar: 0,2 cm. From Hector Escriva and Stéphanie Bertrand. Our team previously showed that inhibition of FGF signaling does not block neural induction in amphioxus (Bertrand, Camasses et al. 2011), making the default model a good starting hypothesis. In addition, it was known that ectopic BMP signaling activation induced ventralization of the embryo, whereas activating Nodal signaling induced dorsalization (Onai, Yu et al. 2010), which was linked to conversion of the whole ectoderm into epidermis or into neural tissue, respectively. In this context, we decided to explore the direct roles of both BMP and Nodal signals during neural induction. Luckily, concomitantly to our first convincing observations suggesting that Nodal signal was indeed involved in amphioxus neural induction, the team of Laurent Kodjabachian was analyzing this putative and unexpected role of Nodal in Xenopus. They had some indications that independently of its function in mesoderm induction, Nodal could be a bona fide neural inducer in this model organism. 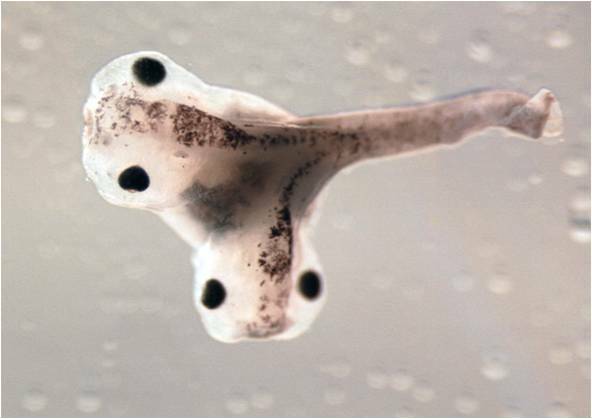 Siamese Xenopus embryo resulting from the formation of a secondary Spemann organizer. From Laurent Kodjabachian. Our meeting was the beginning of a very fruitful collaboration that gave birth to this research article presenting unexpected but very important results concerning the role of Nodal signaling in chordate neural induction. But instead of saying unexpected, we might say controversial. Indeed, the main challenge of our studies was to demonstrate that Nodal directly promoted neural fate commitment, while it was only considered a pro-mesoderm, and anti-neural factor. 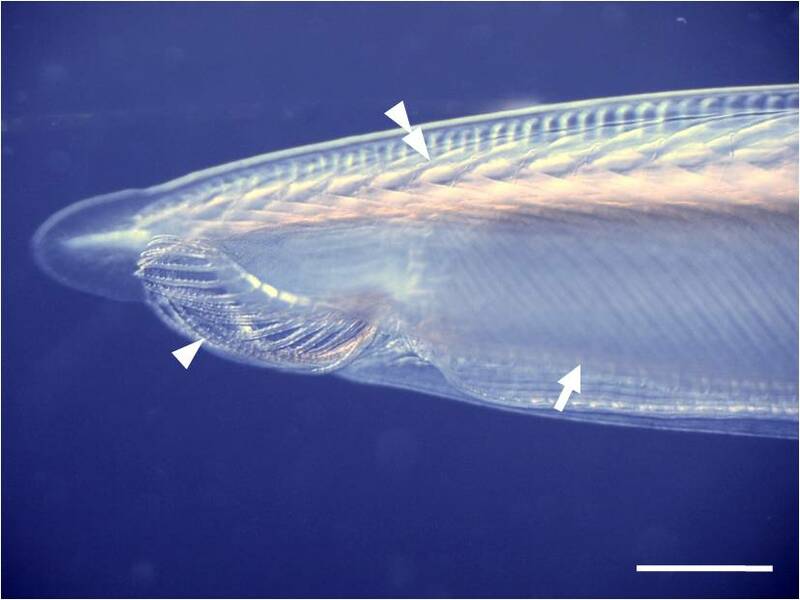 By associating molecular biology and classical embryology approaches like microdissections and grafts, we were able to bring enough clues to show that: i) the amphioxus possesses an organizer able to induce a secondary body axis and to induce neural fate acquisition when grafted onto naive ectodermal explant; ii) Nodal is the main neural inducing signal emanating from the organizer in amphioxus; iii) Nodal can neuralize the ectoderm of Xenopus independently of its ability to induce organizer mesoderm; v) both in amphioxus and in Xenopus, the neural inducing capacity of Nodal is independent of BMP. We hope that the identification of the Nodal pathway as a neural induction signal conserved between amphioxus and Xenopus will bring new reflections on the role of Nodal in other vertebrates, and new perspectives on the study of how chordates form their central nervous system. Bertrand, S., A. Camasses, et al. (2011). 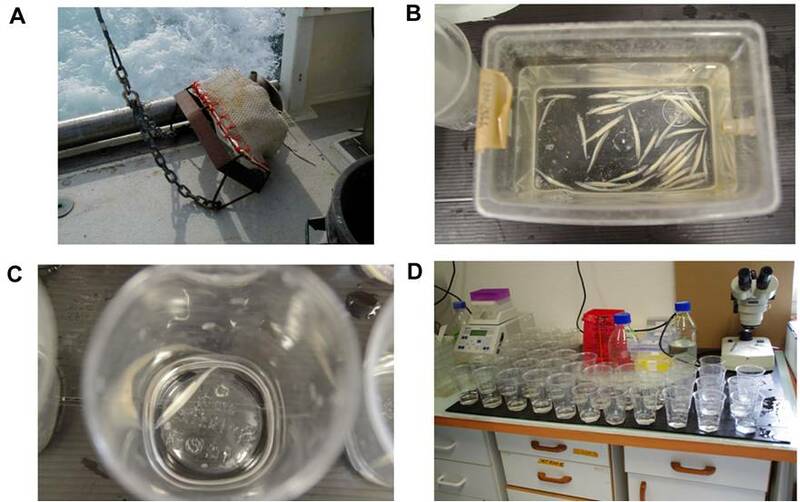 "Amphioxus FGF signaling predicts the acquisition of vertebrate morphological traits." Proc Natl Acad Sci U S A 108(22): 9160-5. Bertrand, V., C. Hudson, et al. (2003). "Neural tissue in ascidian embryos is induced by FGF9/16/20, acting via a combination of maternal GATA and Ets transcription factors." Cell 115(5): 615-27. Delaune, E., P. Lemaire, et al. (2005). "Neural induction in Xenopus requires early FGF signalling in addition to BMP inhibition." Development 132(2): 299-310. Epub 2004 Dec 08. Onai, T., J. K. Yu, et al. (2010). "Opposing Nodal/Vg1 and BMP signals mediate axial patterning in embryos of the basal chordate amphioxus." Dev Biol 344(1): 377-89.